Welcome to the official Clemson Tiger Rags! The first Tiger Rag was conceived and made by the Textile Department in 1976. The Block C club would sell them on Saturday's for $1 with a program. I attended my first Clemson game in 1985 and was given a Rag outside the stadium, I love the tradition of our fight song and the Rag and based my embroidery business on it. 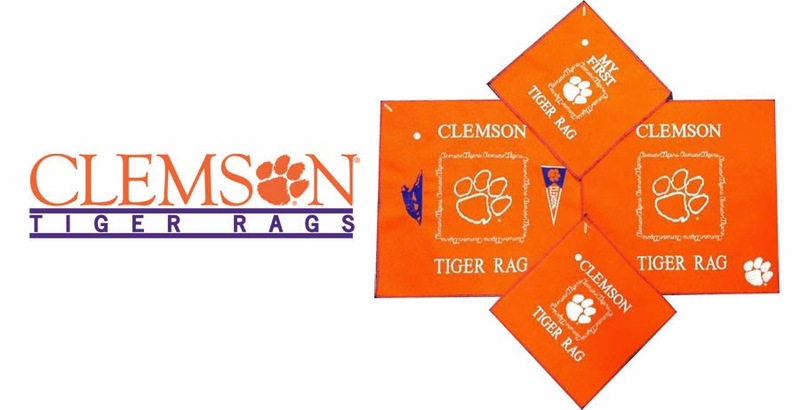 I thought a handmade, embroidered Tiger Rag would be the perfect gift for every Clemson fan. You can wear them to a game or have them personalized and framed! Come see me at the next Ladies' Football Clinic July 21, 2018. You can get your Tiger Rag and then get it signed by the Coaches and players! Lots of fun, you can find out about it here.